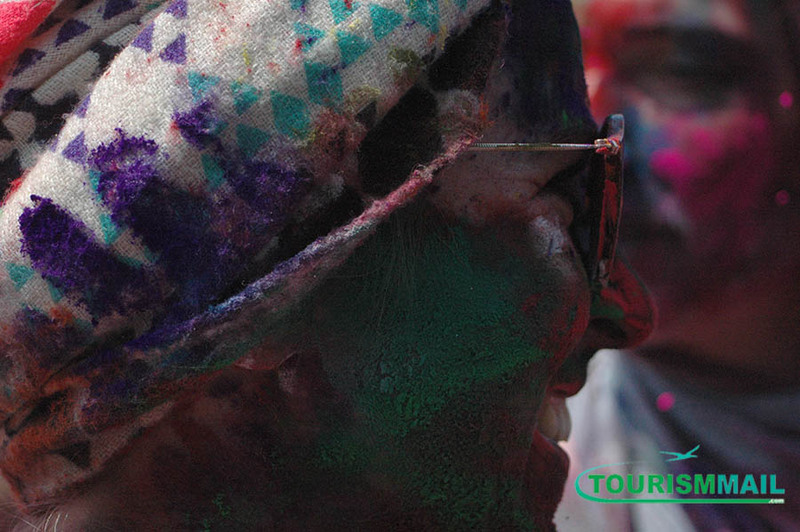 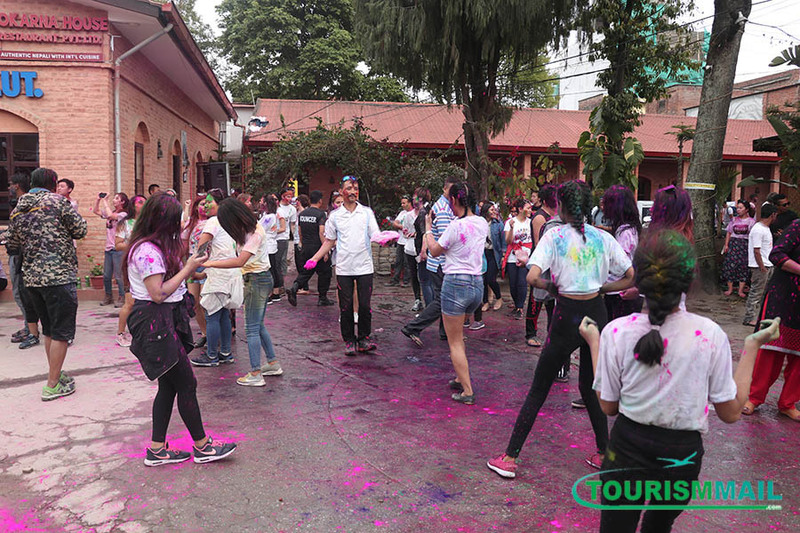 KATHMANDU: Festival of colors, Holi was celebrated peacefully at different places of Nepal. 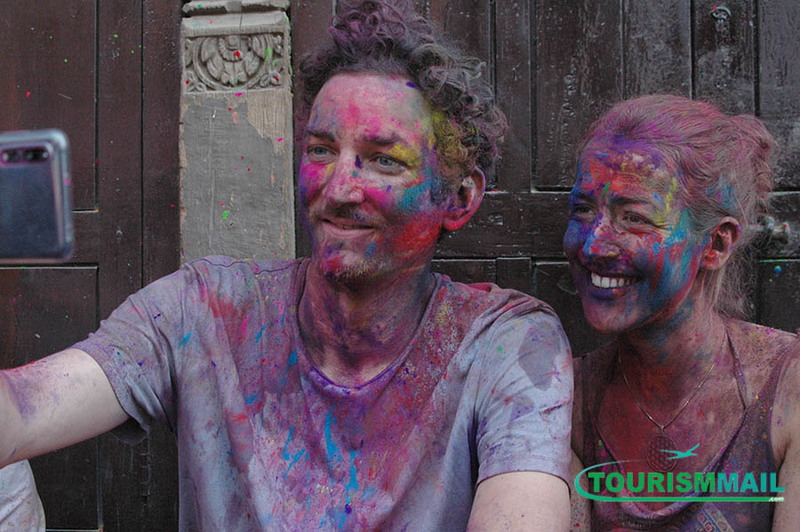 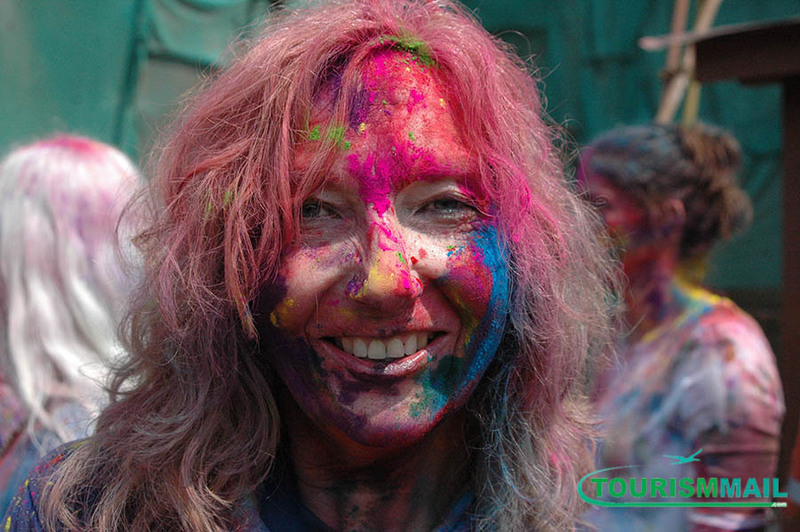 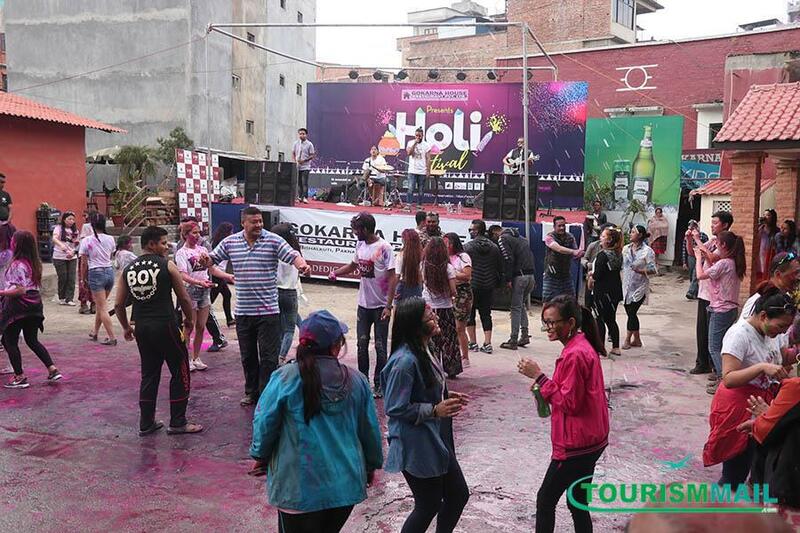 People all over Nepal celebrated holi by throwing color powders and waters to friends, families and relatives. 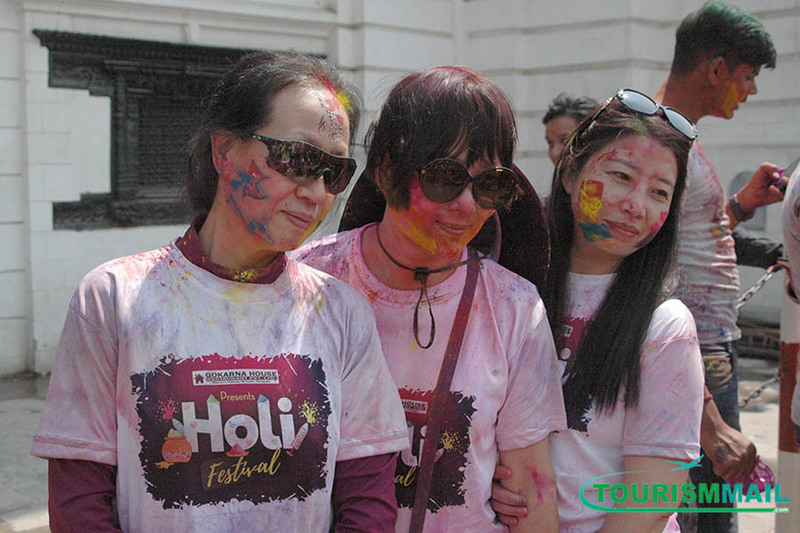 This festival is also known for celebrating togetherness as it unites everyone together. 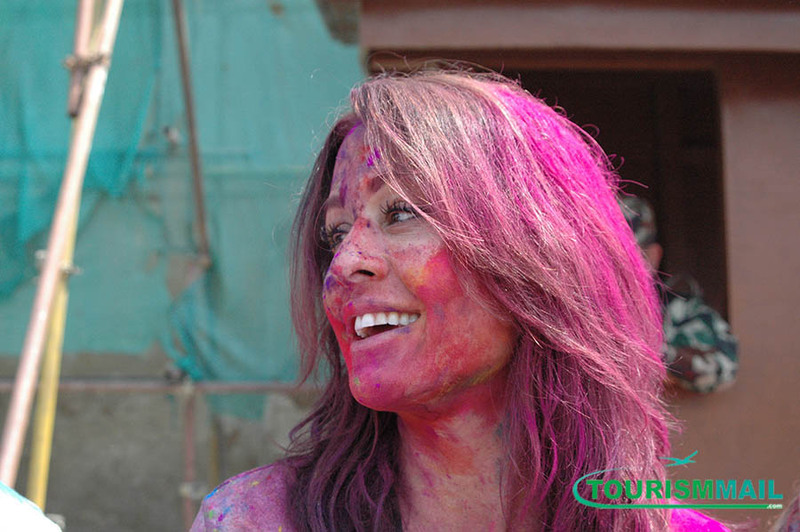 This festival is not only celebrated among Hindu people but also people from other different caste and culture celebrate this festival. 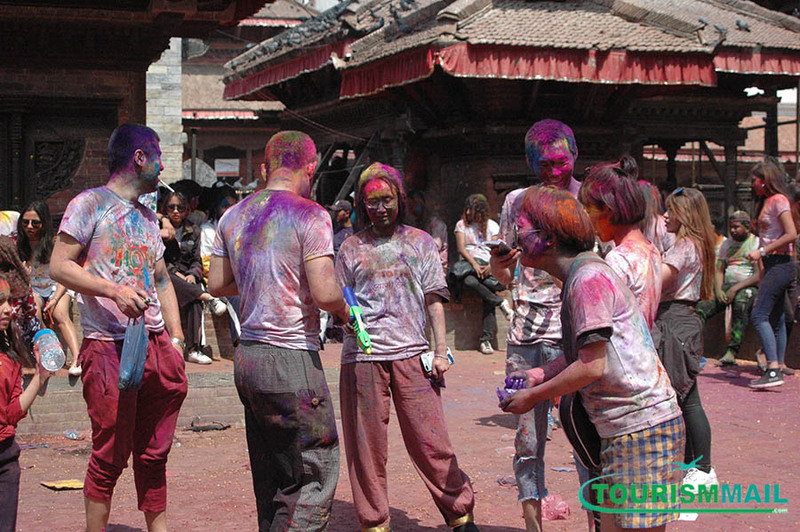 These days various tourists are also found celebrating this festival. 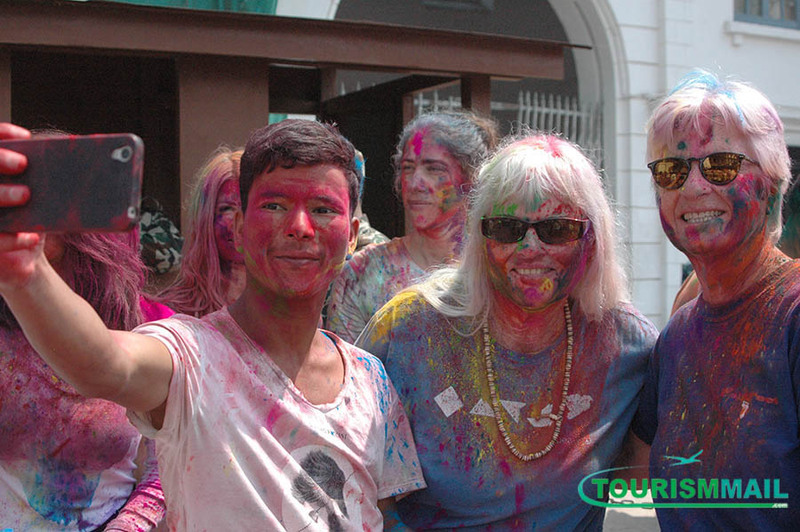 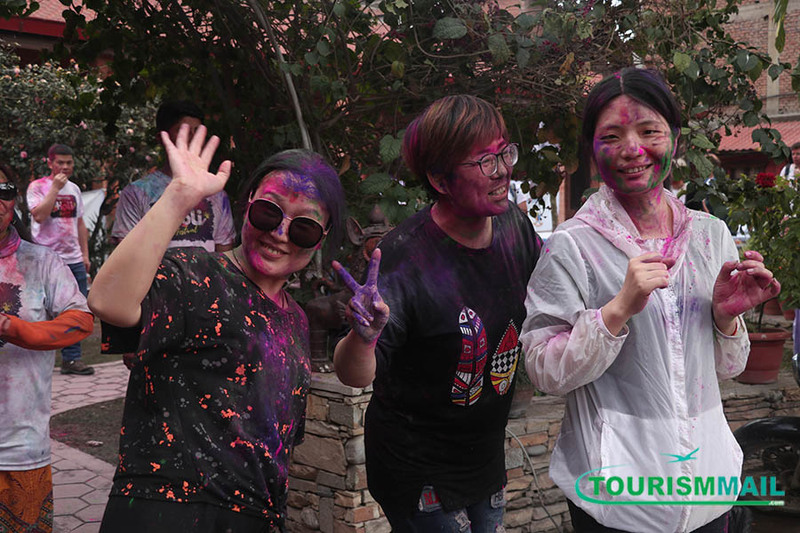 In the occasion of holi, Many Nepalese and more than 150 Chinese tourists also participated in the event organized by the Gokarna house restaurant at Paknajol.